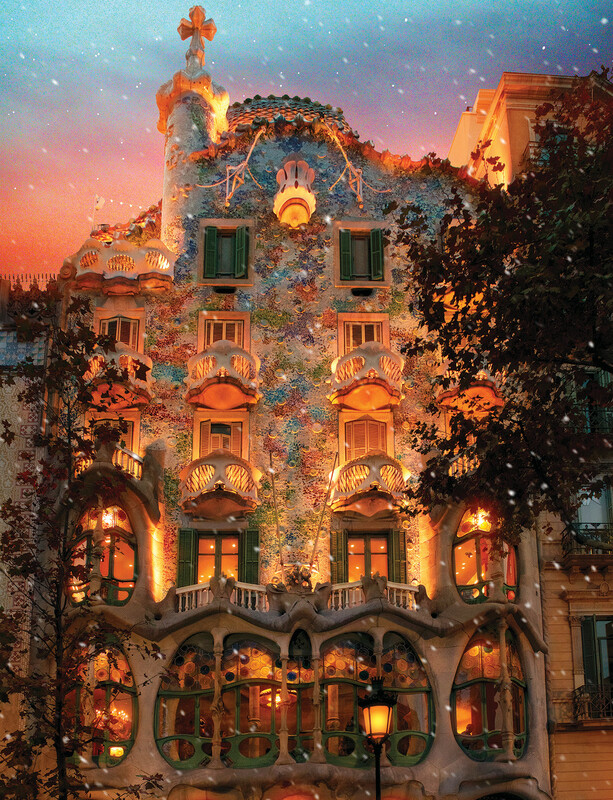 Casa Batlló is a world-renowned building the resides in Barcelona, Spain designed by Antoni Gaudi. This 500-piece puzzle "Batlló House" from Springbok depicts this picturesque building at dusk. We think you'll love the details in this amazing piece of architecture, from its unusual tracery, irregular oval windows, and sculpted stonework, not to mention the colorful use of ceramic tiles on its facade. This puzzle was a challenge, but fun! We actually framed it after we finished it because we couldn’t bring ourselves to take it apart. Love this brand of puzzles.